Shoreline area residents Devin Walker and Trez McBean recently opened up Monka Brewing Company at 17211 15th Ave NE in Shoreline. 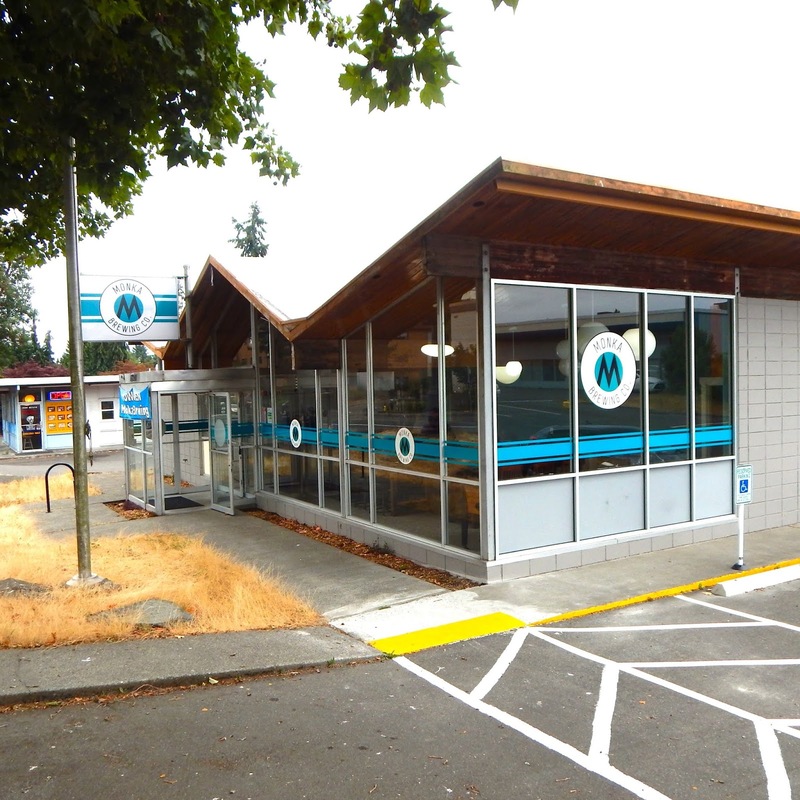 Right across from the Safeway, long-time area folks will recognize it as the previous location of the Spay and Neuter Clinic. But McBean said that prior to that incarnation, it was a doughnut shop. She points out the geometric angles of the wood-lined ceiling and the retro-globe lights as proof. “We just loved the architecture of the place,” she said and is confident that the strong image of their new logo and décor will take root in the community’s mindset so that over time references to past occupants will be replaced by the happy memories made over a glass of craft beer and friendly conversation. Walker is the master brewer of the Monka team and the new location is a dream come true for him. An inventor with several patents to his name, Walker most recently comes from the world of commercial research and development for the coffee industry. 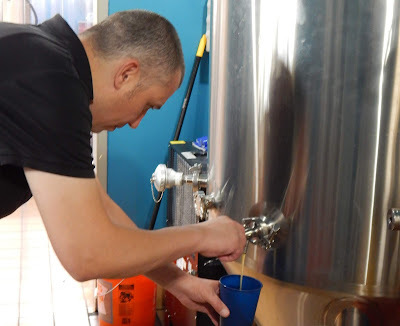 Now instead of talking about solenoid cells, he’s the brains — and brawn — behind brewing three barrels (93 gallons) of beer per week. 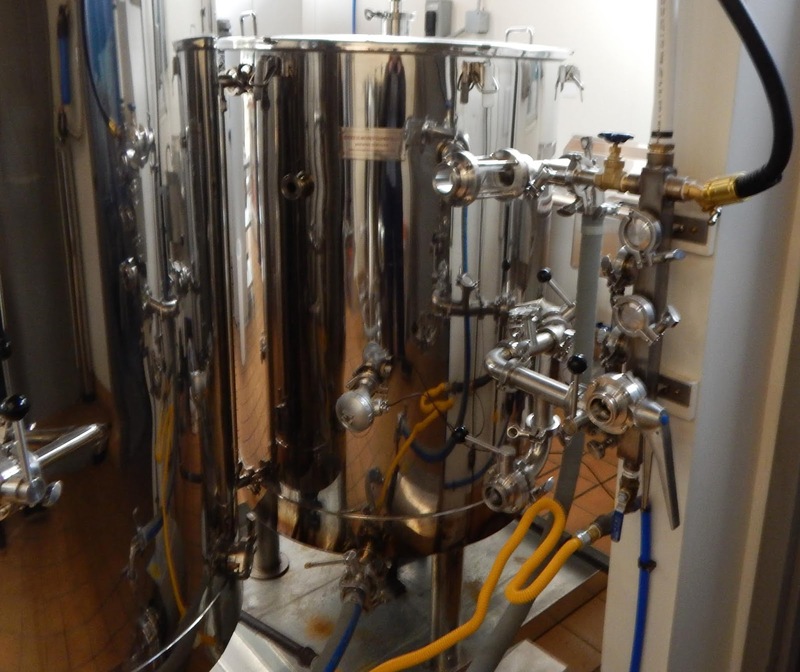 The process goes something like this: He starts with hot water, which is mixed with crushed grain (malted barley). He lets the mixture steep, then extracts the sugar water to the boil kettle and boils it for 1 to 1.5 hours. He adds hops during the boil and cools the liquid quickly during its transfer to the fermenter. He adds some yeast and ferments the brew for 5-15 days. Walker said he likes to experiment with his recipes and techniques. “He’s also a risk-taker,” McBean said. While Walker takes care of the backroom brewing, McBean handles the front of the house. “We really want this to be a family-friendly place where neighbors can meet over a small-batch brew. McBean, a dancer by profession, said that this is her chance to support her husband’s dream. “Monka” comes from the name that Sayler, Trez' niece, called McBean’s mother, Teresa McGee, who passed away last year. “This brewery is dedicated to her memory. She was someone who listened in love. She was curious about people’s passions and was supportive of everyone she knew. When I’m with customers, I use her example as my inspiration,” McBean said. For now, Walker is experimenting with rotating brews. “I want to get a feel for what the community is looking for in a beer,” he said. In addition to serving whatever is on tap, there are also soft-drinks, gluten-free apple cider, bottled water, and snacks. They are also talking about rotating food trucks on Sundays when the restaurant next door is closed. “We want to be good neighbors to Ichi Bento. Customers are welcome to order from them or anywhere else and bring food in here to enjoy with their drinks,” said McBean. neighborhood brewery within walking distance. According to Lake Forest Park residents Jim and Lisa Bryant, Monka’s IPA (India Pale Ale) is great. “It’s also wonderful to have a neighborhood brewery within walking distance,” said Jim Bryant, who was impressed with McBean’s friendly counter service and conversation on their first visit. “We will be back,” said Lisa Bryant. 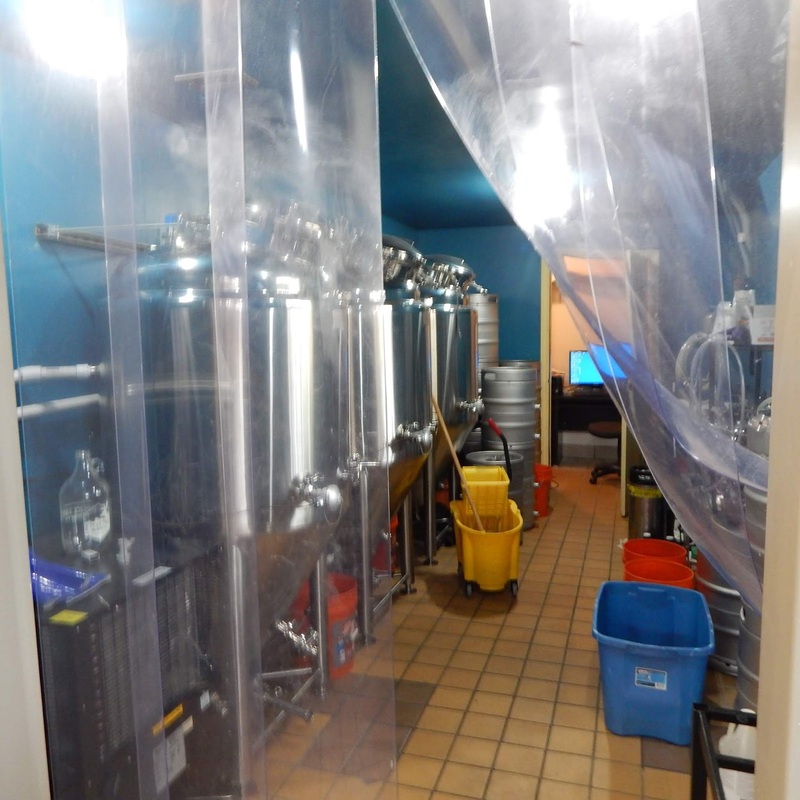 The brewery is located at 17211 15th Ave NE, Shoreline, WA 98155. Update: Address corrected to 17211 15th Ave NE. I assume the address must be 17211 15th Ave NE. I'll have to come check it out! Jim - you are correct. It is 17211 15th Ave NE. I've corrected the article. Is the beer available in 6pk cans and 6pk bottles?